NoteBurner iTunes Audio Converter 2.1.6 – Convert DRM-controlled audio to MP3 or AAC. NoteBurner iTunes Audio Converter helps you to convert Apple Music, M4A, M4B, AA audiobooks, and M4P audio to MP3 or AAC. As long as you can play the audio on iTunes, you can convert it. The premise of converting the audio (including Apple Music) is that you are authorized to play the audio with iTunes. It records the audiobooks at 20x speed in the background. 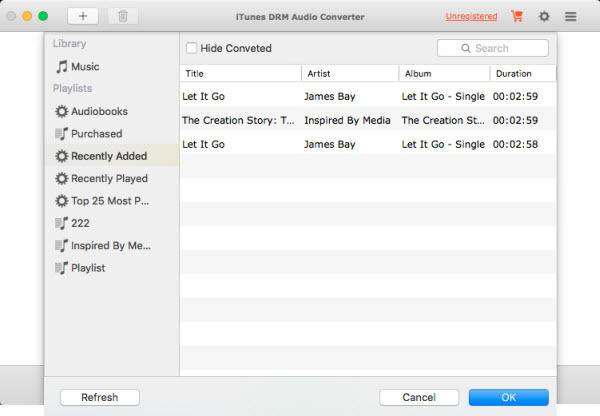 iTunes Audio Converter can even batch convert your purchased files. All the ID tags will be preserved in the output AAC files. In this way, you can play your converted audio files off-line on popular devices, such as iPad Pro, iPad mini 4, iPad Air 2, MP3 players, Android devices, Windows devices, and other portable devices. Next story PhoneClean 5.0.0 – Reclaim free space on your iOS devices. Previous story Certificates Templates for Pages 1.1 – Collection of Pages templates. AudFree Audio Capture 1.0.4.4 – Capture any audio played on your Mac. Piezo 1.5.5 – Quickly record audio from any application. Capo 3.1.5 – Slow down and learn to play your favorite songs.